Remember in history class that little period of time in France called the “Reign of Terror”? Hold onto your kitten heeled boots (supposedly those are in season right now). In short, the Reign of Terror was classified by blood running down the streets, thousands of guillotine executions with a public audience and of course, lots of severed heads… 16,594 from June 1793 to July 1794 to be precise. If you haven’t figured it out, the Reign of Terror was… a Reign of Terror. But to survive in such a gruesome time in history the French adapted their taste and the guillotine and executions of the beheading style became not only acceptable, but fashionable. Yes, that’s correct. Beheadings were fashionable. 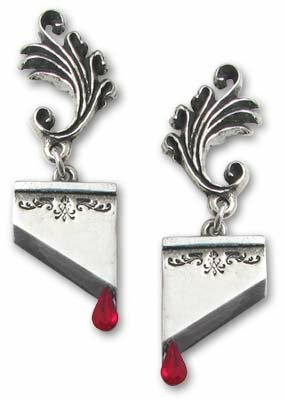 That’s where these guillotine earrings come in. 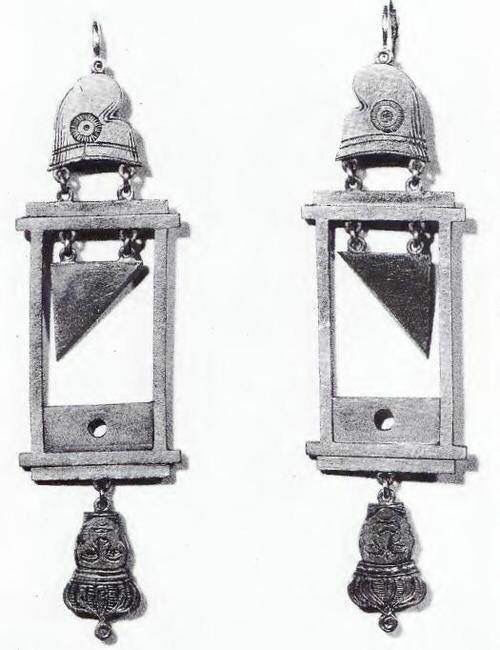 These gold earrings are from 1793 and show off not only the guillotine, but the heads of beheaded Monarchs. 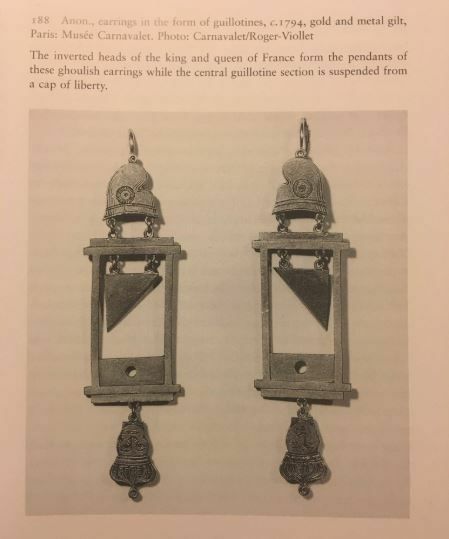 While crazy, barbaric and unhuman to consider such practices normal now, in 1793, people loved the guillotine and it was not only a part of fashion, but of music, art and everyday life. You can grab some replicas from Amazon or Ebay to show your love of the Guillotine too.